Hollow follows filled, worn-out follows new. Little follows satisfaction, much follows bewildered. The wise person uses this to hold the One, and models all under heaven. He does not attack himself for he has merit; he is not self important for he endures. He alone does not contend, hence nothing under heaven can contend with him. This is the ancient point of view: bent follows whole. How can it be that emptiness speaks! Complete sincerity returns. Notice the order of how these play out. ‘B’ follows ‘A’. This portrays the circular process of nature a little better. D.C. Lau and others tend to translate this in a way that implies free will somewhat. “Bowed down then preserved”, i.e., if you do ‘A’ then you get ‘B’. This phrasing lends itself to seeing a reward at the end of the “bowed down” tunnel. Another time, in “A lot then perplexed” we see a downside to “A lot”. Nature is far more balanced than that! The Chinese word order using follows conveys the natural process more realistically, ‘B’ and ‘A’ (or yin and yang) are cyclical expression of the One. The Word for Word drill down helps deepen the view. Take the Line 1 for example, : bent (crooked, wrong) standard (norm; rule > imitate; follow) complete (whole; make perfect). Translating it as Bent follows whole works, but so would wrong follows perfect. Putting it this way reminds me of chapter 2 in particular, All realizing goodness as goodness, no goodness already. We could easily substitute that word goodness with perfect, which gives us, All realizing perfect as perfect, wrong already. The mind, thinking that it knows, gets me disconnected from the One, and, … not knowing this knowing is disease. Now we must ask, what is the One suppose to mean? God? Sure, but for me I sense the One as Mother Nature — the ‘big picture’. Here, life & death, pain & pleasure, gain & loss, etc., all hold equal footing in my awareness. Of course, if faced with actual death, pain, or loss, my equanimity declines — as it should! Here, my qualifier, “actual” requires deeper thought. If something only exists in my imagination, is it less actual? Yes and no. I experience it as real, but its reality is only a virtual reality. This fact offers me a way to lessen my disconnect from the One… somewhat. In short, if my story is drawing a fearsome picture, I have some hope of changing the story! When a real elephant is chasing me, any and all stories become irrelevant. I’ll just run! Think of it this way: silence follows speech just as wrong follows perfect, or yin follows yang. This is both philosophically true and literally true. When the mind is utterly focusing on one side, the side the emotions need, perception disconnects from the One. Chapter 2 pulls no punches: All under heaven realizing beauty as beauty, wickedness already. To ease this dilemma one needs to change up the story, and indeed the words from which the story is weaved. The story is weaved from words, so believing what we think begins at that fundamental word level. The less reality I give to word meaning, the less I am able to believe in the story I weave from words. That takes me a step closer to learning the lesson in chapter 71: Realizing I don’t’ know is better; not knowing this knowing is disease. This disease of believing what we think may be more an epidemic now that media plays such an all-encompassing role in mental life. To chapter 2 notes, Hence existence and nothing give birth to one another. It follows then; knowledge and ignorance give birth to one another. Yes, I know that is a difficult duality around which to get one’s head. We so much champion knowledge over ignorance! When words fall silent, emptiness speaks. Only then can complete sincerity return. Emptiness correlates with silence, silence correlates with sincerity, and sincerity correlates with return. Does this ring true? Perhaps the only way to realize [we] don’t know is to deal with the disease at the word level. I found the correlation process helped to decrease significantly my belief in words. Diminishing my faith in words, especially those connected to certain subconscious biases, was not a ‘fun’ experience. Indeed, it was grueling at times, yet well worth the price. 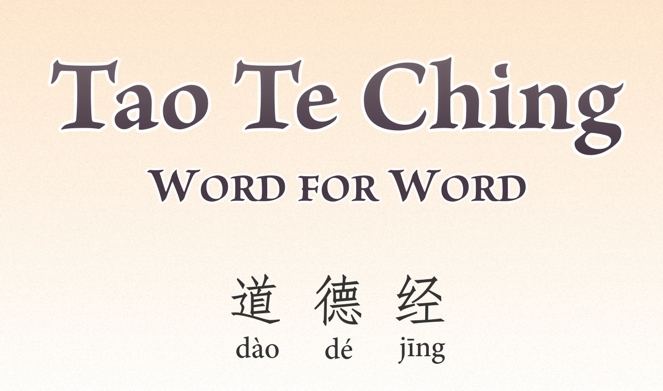 The process might work for you; give it a try, see Tools of Taoist Thought: Correlations. Warning: The correlation process must be personally grueling to be effective.